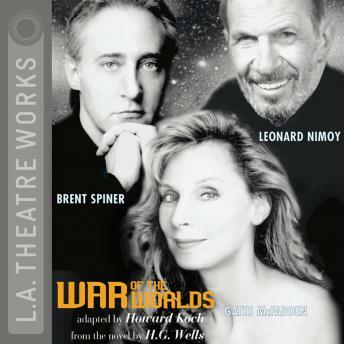 An L.A. Theatre Works full-cast performance featuring John de Lancie, Meagan Fay, Jerry Hardin, Gates McFadden, Leonard Nimoy, Daryl Schultz, Armin Shimerman, Brent Spiner, Tom Virtue and Wil Wheaton. Includes a conversation with Leonard Nimoy. The War of the Worlds is part of L.A. Theatre Works’ Relativity Series featuring science-themed plays. Major funding for the Relativity Series is provided by the Alfred P. Sloan Foundation to enhance public understanding of science and technology in the modern world.